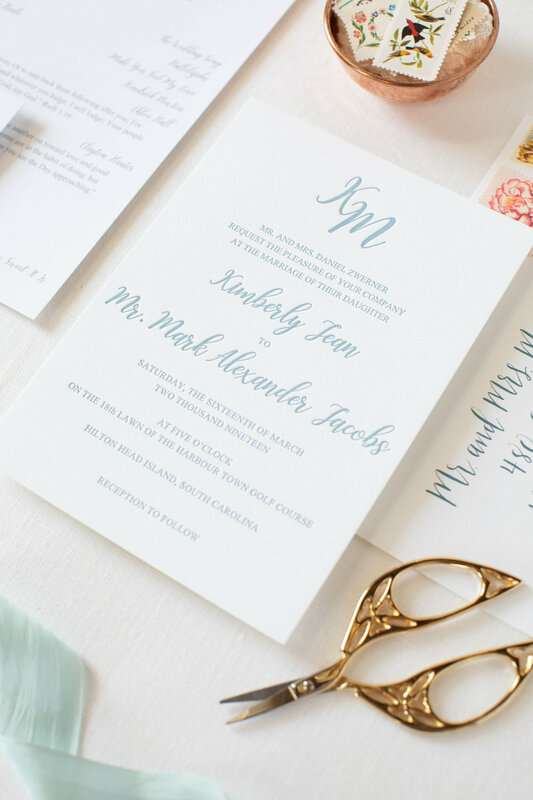 If you're interested in custom invitations, but aren't really sure where to start, don't worry. You're in the right place. I'm here to help walk you through the process. From brainstorming, to drafting + designing, to printing, envelopes and extras, I've got you covered. First, look through my portfolio - both here and on Instagram. That is a great starting point and will help give you an idea of my style and favorite projects. Read through my frequently asked questions, and please don't hesitate to shoot me a message. I'm here to help! 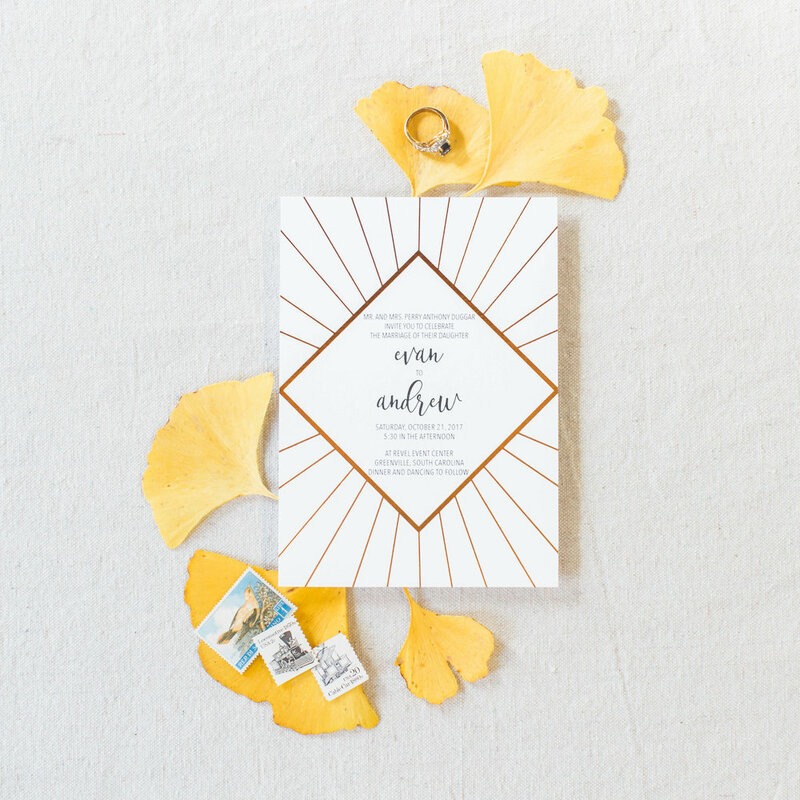 We'll cover pricing in detail later, but it's helpful to know that my basic package for 100 custom invitations (including envelopes, a reply card, and reply envelopes) begins at $500. Pop over to the shop to purchase my one-hour design consultation. We'll meet face-to-face for an hour so we can talk through your vision, look through my portfolio and dream together. Hint: here is where we'll look through that Pinterest board of yours + touch and feel all of my paper samples. Anyone else geeking-out at this point!? (PS: If you aren't local to Atlanta - no worries at all! We'll FaceTime, Skype, or talk over the phone. so you'll still walk away with a customized experience. I'll leave the consultation with your specific wish-list and will craft a quote just for you. When you're ready to get started, I'll ask for a 50% retainer up front. Sit back and relax - I've got everything handled from here! I'll begin your design and will establish a timeline to ensure that we're on track. From calligraphy coordination, to envelope addressing and printing, I'll manage the details until it's time for invitation delivery. MORE questions? Head over to my FAQ page! We are absolutely THRILLED with the beautiful invitation suite Stacey created! Before meeting with her, we only had a photo to work from; but she was able to take our idea and very creatively and efficiently turn it into something more amazing than we had envisioned. Thank you Stacey for walking us through each step of the process, for having everything so well organized on a very convenient timeline, and for your ideas and creative input along the way.